50 pounds Delivered Price ! 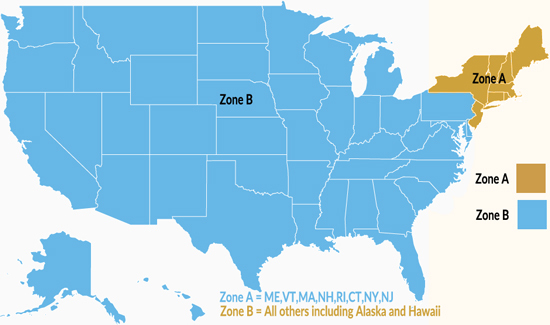 Please select "zone B" option which adds just $5 postage if you are not in one of those states. DURAMOLD was created to meet the demanding needs of the slip casting industry. Compared to #1 POTTERY PLASTER, DURAMOLD features longer mold life and higher wet and dry compressive strength. – Used at a lower consistency than conventional pottery plasters. – High wet strength for less breakage in process. – Ideal for jiggering applications. Use potable water at temperatures between 70° and 100° F (21° and 38° C). Since variations in slurry (the plaster and water mixture) temperature produce variations in setting time, it is important to keep both the plaster and water in a stable temperature environment prior to use. The higher the temperature of the water, the shorter the set time. batches. See bulletin IG503 for specific soaking instructions. hardness, and other important properties. should be poured carefully in the deepest area so the slurry flows evenly across the surface of the case mold. develop. Dry to a constant weight. Keep in a dry, stable environment indoors. Do not stack more than 2 pallets high. Keep from drafts. Rotate stock. Duramold 50 Lbs. USG Puritan Plaster 50 lbs Delivered USG Hydroperm Metal Casting Plaster 50 Pounds Delivered ! #1 Pottery Plaster 50 Lbs. USG Ultracal 30 : 50 Lbs Delivered Price Ceramical 50 Pound Bag USG White Hydrocal 50 Lbs Delivered Price U.S. Gypsum Usg Hydroperm Plaster 50 Lbs.